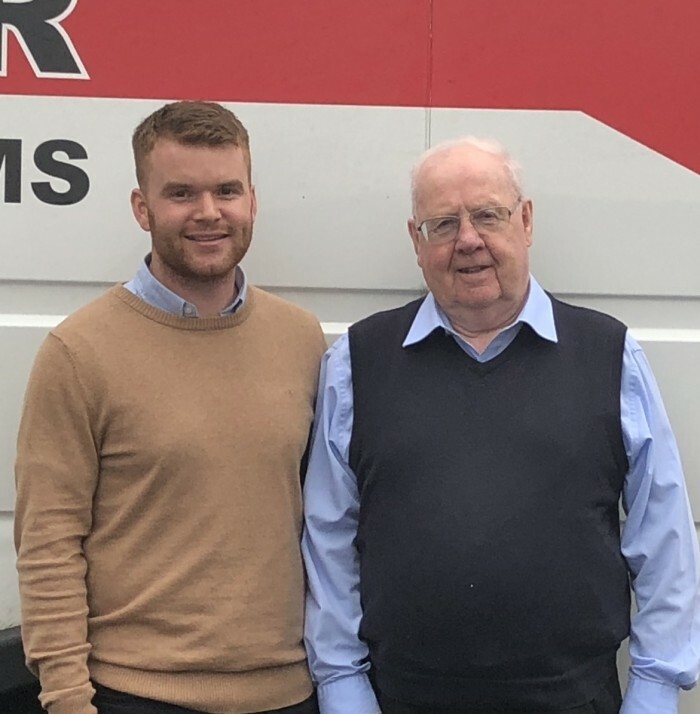 Stevie McManus has taken over the reins at Caber from his grandad at the family business based in Methven. Rewind fifteen years and a fresh-faced teenager called Stevie McManus was making a name for himself as a professional footballer for his boyhood club, St. Johnstone. He’d represented his country at Scottish Schoolboy level and had his eyes firmly fixed on the prize of becoming a regular in the Saints first-team. Fast forward to the present day and Stevie is now about to embark on a brand new journey as a businessman. The football career didn’t work out for him in the end and two years ago he called a halt to his playing days to focus on his young family and prepare himself for this very day – the day he takes over the reins at Caber. The business was established in 1984 by Stevie’s grandfather, Ron Caldow, and over the years it has built up a fantastic reputation in the local area. 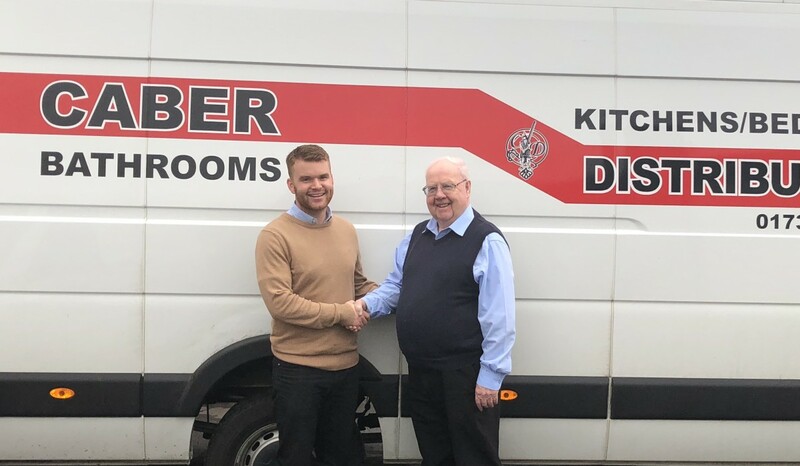 Caber is a family-run business specialising in kitchens and bathrooms, and operates from its base in Methven on the outskirts of Perth. After over three decades running the company, Ron has decided it’s time to retire but he wasn’t going to pass his business over to just anyone. It’s something he’s been thinking about for a number of years and it was around two-years-ago that Ron approached his grandson and asked if he’d consider buying the company and keeping it in the family. It wasn’t something that I’d ever thought about but it certainly didn’t take me long to come round to the idea. “In his head I think he always wanted a family member to take over,” Stevie said, “rather than selling it off to a big company or a complete stranger. “To be honest when my grandad approached me a couple of years ago about potentially taking over from him, it wasn’t something that I’d ever thought about but it certainly didn’t take me long to come round to the idea. “He started the business thirty-four-years-ago and built it from the ground up so it’s his baby. Now that he’s turning eighty-two this year he’s finally decided to pass it on! I think he’ll be a bit anxious because the company means a lot to him and he’ll also want his grandson to do well. Stevie parted company with St. Johnstone back in 2006 and since then has had to find work outside of football. He decided to go down the route of learning a trade and has worked as a joiner for over a decade now. This latest career change will be one of his biggest challenges yet and he admits that if you’d told him back in his younger days that he’d be running a business one day, he’d have probably laughed in your face. “It was never in my thoughts,” admits Stevie, “in fact as a teenager the only thing I ever thought about was football, football, football. Even when I stopped playing for St. Johnstone and had to find work away from the game, I could never have imagined taking over a business. “Working as a joiner I’d always thought I might go self-employed someday but it wasn’t until my grandad approached me that I even considered this career move. Officially, Stevie takes over at the helm today and it’s a time of significant change for the Methven-based company. It’s not just his grandad who will be leaving Caber, as his auntie and another long-term member of staff will also be heading off into retirement. Despite the big changes happening at the company, Stevie knows he won’t be able to get rid of any of them that easily and knows that they're all just a phone call away should he need a bit of advice. “It’s a great team here at Caber but obviously it’s going to be a big loss not having grandad, my auntie and also Irene in the office. That being said they’ve all told me just to pick up the phone if I ever need them which is really nice and it's reassuring to have that support. Stevie will be hoping to continue the success that his grandad enjoyed with Caber and doesn’t plan on making too many changes as he officially takes up his new post. It's a business that has survived two recessions, so I don't think we need to change much in the way that things are run around here. “It’s a business that has survived two recessions,” Stevie said, “so I don’t think we need to change much in the way that things are run around here. “I think it just needs a little bit of a modern touch. The business was built on word of mouth so I suppose the first thing we’ll try to do is establish a presence on things like Facebook and other social media platforms, as well as bring fresh ideas and contacts to the business. “What Caber has done well and part of the reason we’ve been so successful over the years is that we have a really personal approach with our customers. Our clients know us and we know them, and we love to get to know new customers too. Caber was first established in 1984 by Ron Caldow and offers design, specification and installation of kitchen and bathrooms. Caber is based in Methven and the showroom is on the village’s Main Street. 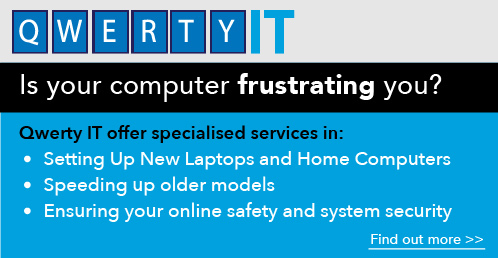 The company also has a wide distribution network and supplies products throughout the UK. 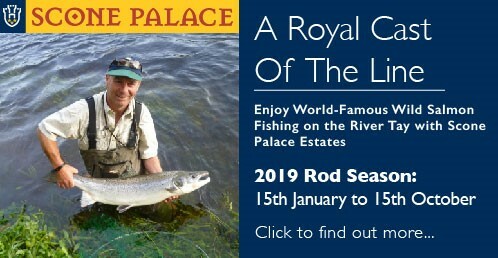 You can find out more by visiting the Caber website or by calling 01738 840669.